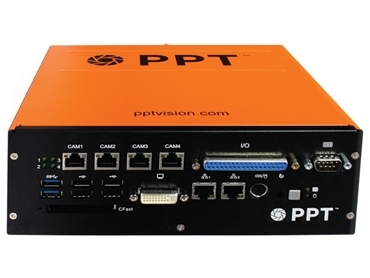 Offering maximum power and connectivity for today's high performance cameras and embedded vision systems, the PPT Vision MX80 is available from Datalogic Automation . Incorporating Intel Core i7 quad-core microprocessor, it provides more image processing speed and power for up to four unique M-Series camera inspections. The MX80 vision processors provide superior computer power and easily integrates PPT A, R, C and M-Series cameras without the need for a PC. Users can choose from a broad selection of camera models, all with a high-capacity, solid-state drive.